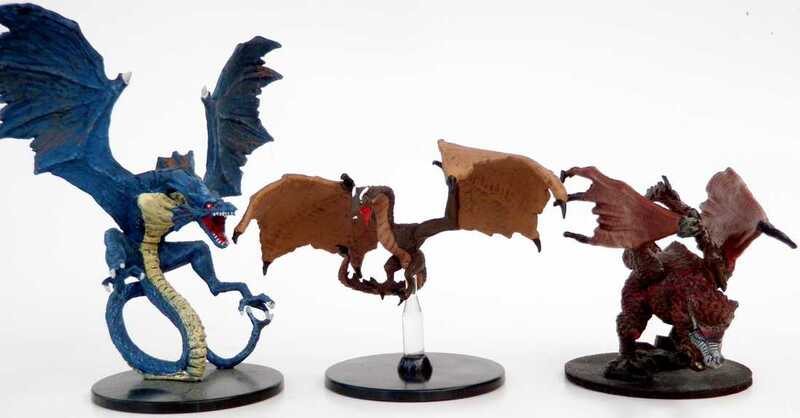 The last prepainted Dungeons & Dragons miniature set, Lords of Madness, reached stores in 2010. Since then, I have grown eager for a new source of plastic miniatures. The Pathfinder miniatures line included some good figures, but they come mixed with lots of characters and monsters unique to their adventure paths. So the release of the new Icons of the Realms Tyranny of Dragons collectible miniatures excited me. This set of 44 miniatures comes in boxes of 4 randomly-assorted miniatures that retail for $15. The price continues a decade of steep increases. In 2003, Harbinger boosters only cost $9.99 for 8 figures. My desperation for new plastic helps overcome the sting of paying so much per figure. Don’t complain about the random assortment. If you want to buy specific figures from the sets, plenty of vendors sell them individually. Unless you crave the splashy rares, and the excitement of cracking a box, you get a better deal buying singles. 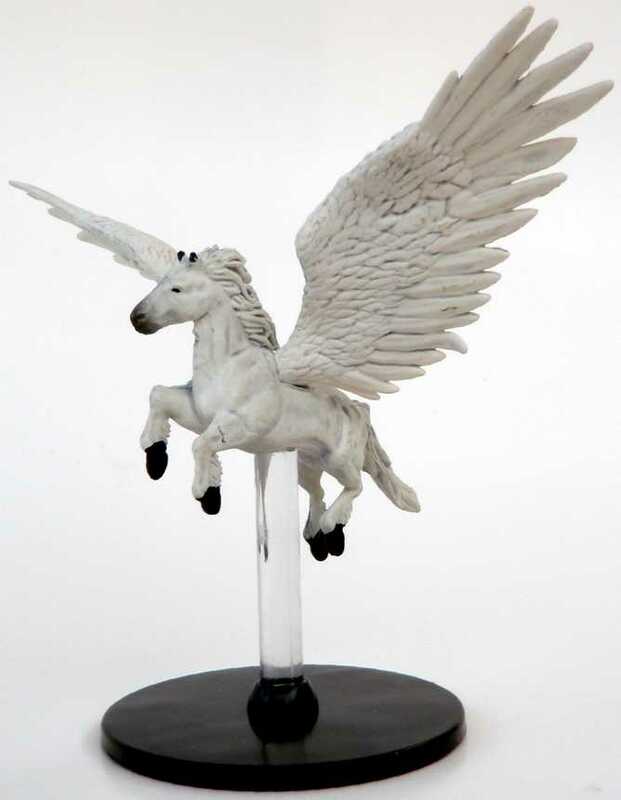 The set’s big draw comes from dragons and other flying creatures posed in flight atop clear plastic pillars. In the past, only a few bats and stirges received this treatment. If you handicap your dragons by making them fight on the ground, then the new flying dragons won’t suit you. Plenty of grounded dragons have appeared already, and you can still buy them from resellers. I’m eager to pit some players against a green dragon just so I can swap figures when the creature takes off. Yes, I know this is a shameful indulgence. 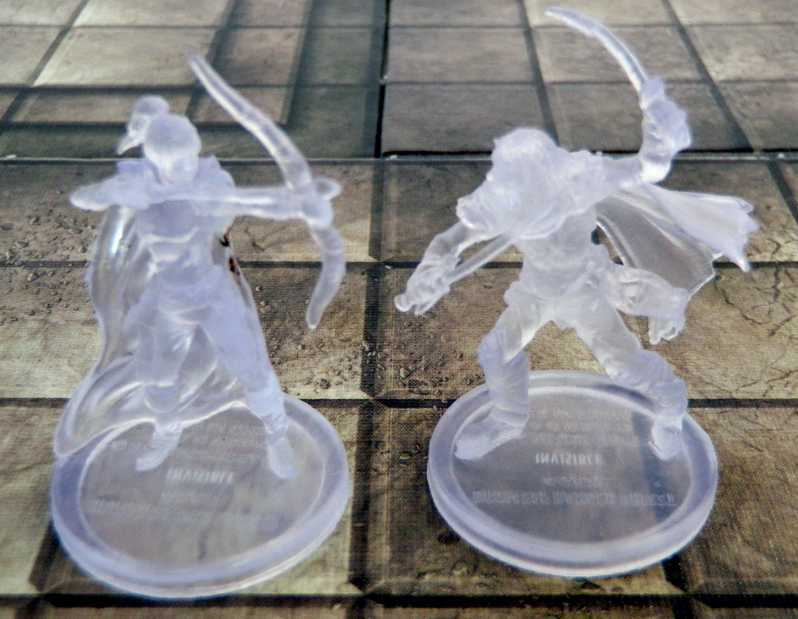 The set’s other splashy feature comes from invisible character miniatures molded from translucent plastic. Most rare figures feature a lot of costly, painted details. To WizKids, these invisible rares must seem like an ideal combination of zero painting (cheap!) 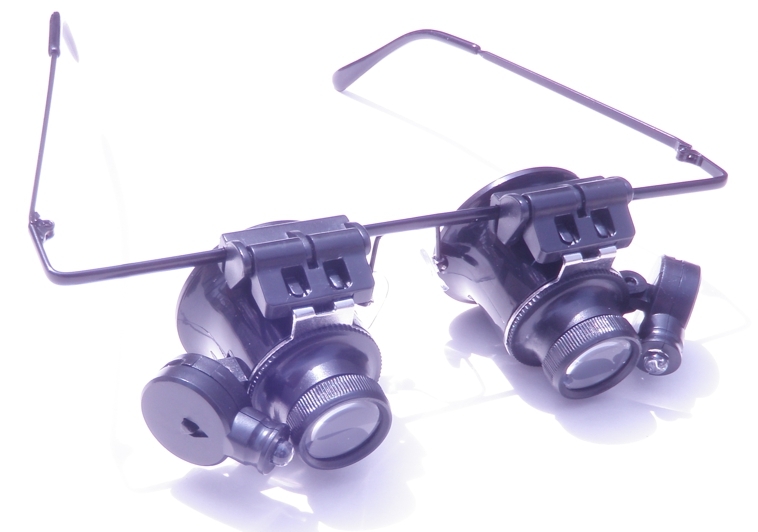 with the sort of collectability that entices buyers. Did the idea for these minis start as a board-room joke about selling empty boxes full of “invisible” figures? If you buy singles, don’t complain. 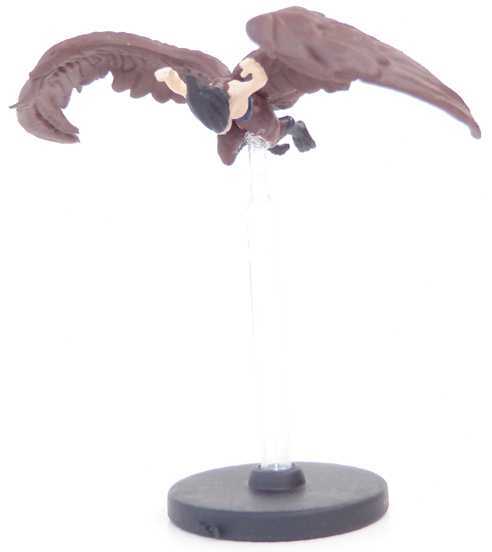 Premium figures like these make the others more affordable, because resellers can charge $30 for an invisible Drizzt, and then use the profit to offset the cost of all the ordinary figures they opened to find him. The Red Wizard may rate as my favorite figure. 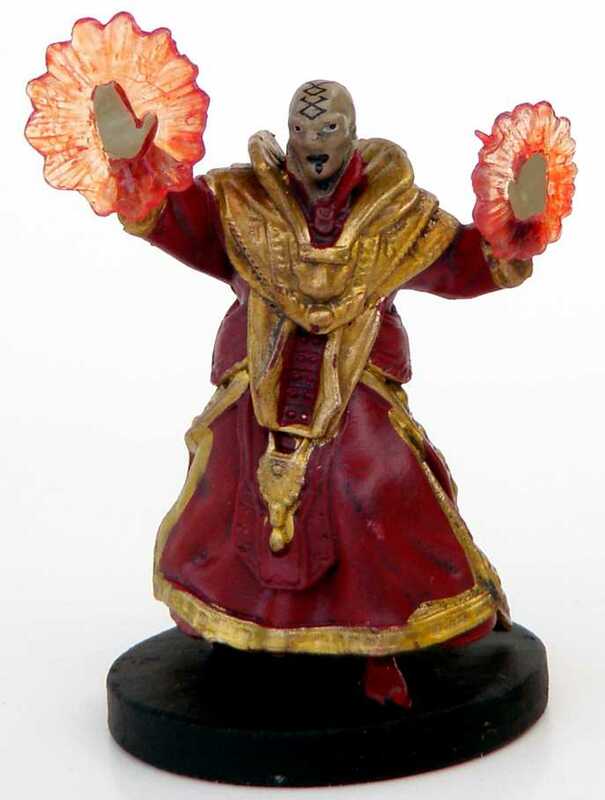 I love the magical fire sculpted from translucent plastic around his hands. Too bad this guy arrived too late represent some of the enemies in Dead in Thay. The Rock Gnome Female Wizard and Stout Heart Halfling Female Bard rank as the set’s two most welcome additions to my collection. Past D&D miniatures sets presented gnomes and halflings with the same proportions as humans, making the figures look like tiny humans—15mm-scale mistakes. None of these figures satisfied me. The new gnome and halfling look good. Apparently, miniature sculptors cannot agree on what a wyvern looks like. 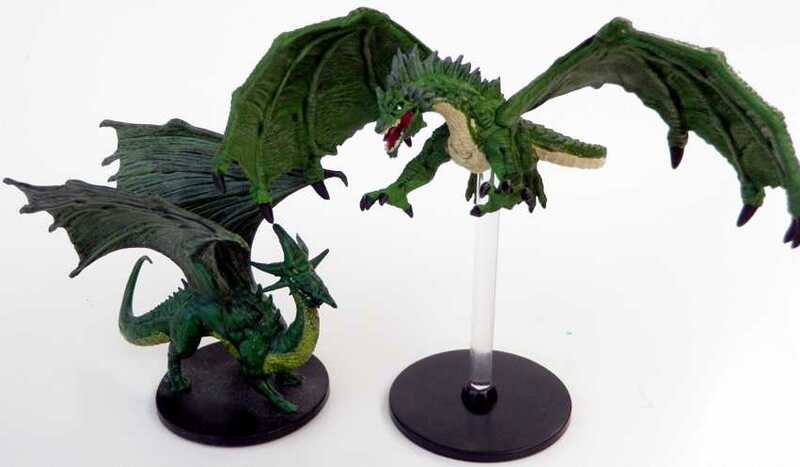 The new set’s flying wyvern looks puny compared to the specimen from the Pathfinder Battles Savage Star set, and emaciated compared to the one in the 2004 Aberrations set. In the things-that-bother-nobody-but-me department, I continue to be annoyed by miniatures that seem out of scale. This set’s offense comes from the Orog, a new candidate for the worlds largest medium-sized creature. Check out this oversized orc posed next to the undersized Storm Giant from Against the Giants and the new Frost Giant figure. An ideal set of random miniatures matches the rarity of figures to the number game masters will probably need. Goblins and skeletons can be common because you can always use more. Dragons and mind flayers can be rare, because you probably just need one. Mostly, this set aligns rarity with usefulness. The flying bases push the rarity of some flyers higher than they should be. I would be happy with several flying gargoyles, but I have yet to open a single one of these rares. Also, as much as I like the Gnome Wizard and Halfling Bard, I only need one of either common figure. I have opened 3 uncommon green dragons, but no uncommon shadow dragons, 3 uncommon frost giants, but no uncommon stone giants. This means it is time to stop buying random boxes and turn to buying singles from resellers to fill out my collection. This entry was posted in Miniatures and tagged Pathfinder Battles, Tyranny of Dragons, WizKids. Bookmark the permalink. I’m delighted that you made http://dmdavid.com is one of Ten Gaming Blogs That Will Make Your 5e Games Better on http://www.enworld.org! I’m honored to be cited from among the 300-and-counting blogs you report on for your great blog roll call on http://dyverscampaign.blogspot.co.uk/. Now I can check “Get mentioned on ENWorld” off my list of goals for this blog. The giants in the set have large bases but are listed as huge in the 5e MM. Good catch! As you say, fifth-edition giants grow from large size in 4E to huge size. This makes the bases on new giant minis too small for the standard grid. I suppose WizKids opted for the smaller bases to make the figures fit into the boxes. For play, we can easily stick the small bases on a larger base or in one of those token expansion circles packaged with the Monster Vault. 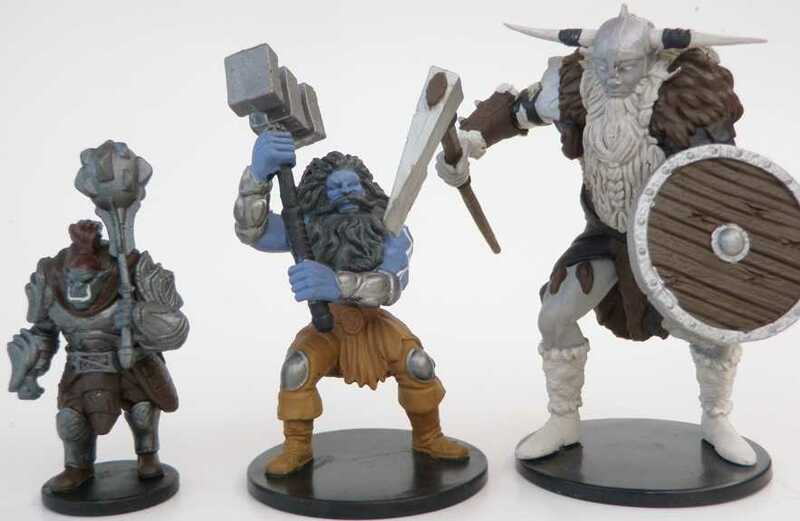 Despite the too-small bases, the stone and frost giants in the Tyranny of Dragons set match the size of huge humanoids such as titans in the older D&D miniatures sets.